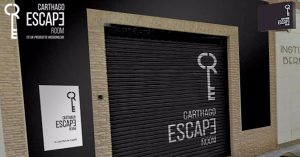 In an escape game you are the protagonist, you must solve a series of enigmas and challenges of skill and intelligence to get out of the room. Teamwork and coordination is essential, and in no case do you need physical strength. Gather your team and get away from the Nautilus !!! Easily one of the best escape rooms I’ve tried. The puzzles were varied, intuitive, and interesting, and the hosts were super nice. We escaped with about a minute and a half to spare and I’m still buzzing from the experience. If you find yourself in Cartagena don't miss this. one hour of great fun for all the family. We were a 12 and 13 yr old, 2 parents and a grandmother. All had a wonderful time. Well priced, inventive group activity. Recommended. Ha sido nuestro bautizo en un Escape Room. Hemos compartido un rato muy divertido en familia hasta conseguir el reto Nautilus. Una experiencia muy aconsejable! Hemos hecho el reto nautilus, ha estado fenomenal! Muy original, muy bien ambientado y estimula mucho el razonamiento y el trabajo en equipo. Genial también la chica responsable de la sala. 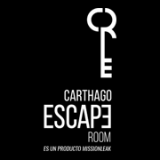 FIND Carthago Escape Room ON SOCIAL MEDIA!